Uttara Huddar - A blessed soul. There is a house in Vidya Vihar Colony in Pratap Nagar area. She was living alone and isolated in two small rooms behind the small main house. The first room, filled with a large number of books, cuttings of news-papers, hand written papers, a small chair placed near the door, a cot made up of iron opposite the chair and between both chair and cot, she was sitting on swing of wooden platform (Bangai). She was about 76, wearing a pink coloured ordinary saree and with each wave of the swing, her eyes start searching unknown from the limited space of that small room. She had difficulty in hearing and if one wanted to talk to her he had to write on either a slate or on a blank paper. Even after seeing her at this old age, one could realize that she was beautimous. Her name was ‘Uttara Huddar.’ Born on March 14, 1941, the life and personality of Uttara Huddar is stranger than a fiction. She was a great poetess and author of many Marathi books. Right from her childhood she had an inquisitive nature. Uttara was visionary, having analytical mind and philosophical approach. Her father late Balaji Huddar was a great personality. He was the editor of ‘Vagishwari’ a trimonthly magazine published during 1930-31 in Nagpur city. Uttara, a true daughter of her father, developed habit of reading since her childhood. She had immense intelligence, wonderful understanding of literature, tremendous vocabulary and rational thinking. After completing graduation in Biology (BSc), she completed post-graduation in English and Public Administration. She also completed Diploma in Ancient Sanskrit and Music. She was a great artist developed an expertise in embroidery, weaving, drawing and painting. The first anthology of poems ‘Akash Garbha’ penned by Uttara Huddar was published in 1983. The poems were so popular in those days, that Doordarshan had specially organized a programme of recitation of her poems. Her series of articles titled ‘Ghar’ were published in 1987 in daily Tarun Bharat as the year was celebrated as The International Year of Shelter for the Homeless (IYSH). The book on the compilation of articles was published by Chaitanya Publication and she got late G R Dodke memorial ‘fine writing award’ for the book. In this book, Uttara Huddar explained all aspects of home. She also elaborated on the fine boundaries between a home and a house. She personified ‘home’ as a powerful individual who is responsible for inculcating compassion, love, virtues, emotions, respect and bond between the persons staying in the same. Uttara Huddar was a great spiritual person. 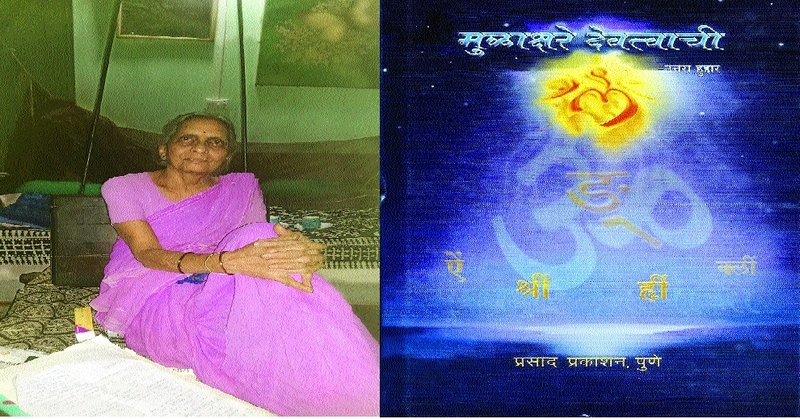 Her book ‘Mulakshare Devatvachi’ (original alphabets of God) is a complete guide for a person who wants to realize self. This book is a scientific analysis of a soul and a super soul. There are 39 articles in this book on different forms of God. This book is a complete guide of human existence to evolution and can be compared with Charles Darwin’s theory of evolution. Her book ‘Prakashachi Pawale’ is regarded as classic form of literature. ‘The Case for an Afterlife’ By J. J. Jennings; Coming Back Alive: The Case for Reincarnation’ By Joe Fisher; ‘ A Philosophical Critique of Empirical Arguments for Postmortem Survival’ By Michael Sudduth’ ‘ Children Who Remember Previous Lives: A Question of Reincarnation, By Ian Stevenson, M.D. ; ‘Immortal Remains: The Evidence for Life After Death’ By Stephen E Braude have separate research based chapters on the life of Uttara Huddar. Akhand Jyoti a monthly magazine of Akhil Vishwa Gayatri Pariwar, published on August 8, 1980 titled, ‘Sharirani Vihay Jirnani Anyani Sanyati Navani Dehi’ has explained with the reference of Uttara Huddar how ‘Just as a man casts off worn-out clothes and puts on new ones, so also the embodied Self casts off worn-out bodies and enters others which are new.’ Uttara Huddar, who lived a mysterious life and who became a subject of scientific research for number of international scientists died in 2018. Just a small obituary about her death was appeared in some newspapers of city. After revealing her own life and achieving self-realization ‘Uttara’ left her body without answering anything to anyone in this mortal world.